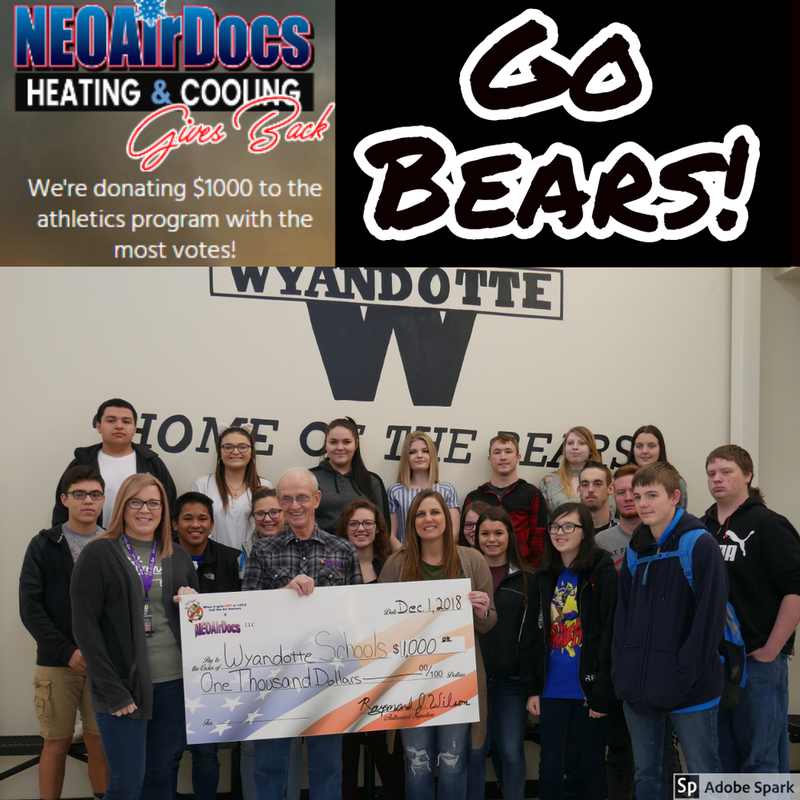 NEO AirDocs sponsored a "Giving Back" competition between 3 local schools; Afton, Fairland, and Wyandotte. The schools were given the opportunity to promote the competition within their school and the community. Patrons were allowed 1 vote per day, with the voting ending on December 1, 2018. We are proud to say that Wyandotte won 1st place with 1,810 votes. On January 15, 2019 we were presented with the grand prize check for $1,000! We, as a school, are going to be polling the student body in the next couple of weeks to see how they want to spend the money we received. Updates will be posted. Don't forget that this campaign is still in full effect. Any time that you seek out and use NEO AirDocs services, mention this competition, and the school will receive a kickback! We would like to thank NEO AirDocs, Turner's Tastee Table Treats, and First National Bank (Fairland) for sponsoring this competition and giving us the opportunity to raise funds for our students.